Holy Cross Hospital is hosting a free community outreach event for individuals diagnosed with epilepsy. 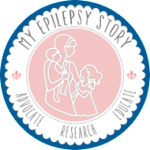 Since November is Epilepsy Awareness Month, we are doing a special art event co-sponsored by My Epilepsy Story, a national non-profit organization, which aims to bridge the gap for women and girls diagnosed with epilepsy. We welcome all to come to the event, including family members, caregivers, and children. My Epilepsy Story will be providing painting supplies, pastels, canvases, and drawing paper for anyone to express themselves via art. Please RSVP to info@MyEpilepsyStory.org so we can ensure that we are prepared for everyone! We hope to see you there! If you are unable to attend, you may also help support our cause by donating $26 to our 1 in 26 Women With Epilepsy Campaign. For more information regarding the event or support group, you may contact us at info@MyEpilepsyStory.org.